I'm a little late getting this week's Short & Sweet Saturday card posted, because we had a graduation open house to go to. I had the card done before we left, but didn't have time to get it posted. Our old neighbor's oldest daughter graduated from high school. We've known her since she's been 3 months old, and I can't believe she's now a high school graduate! 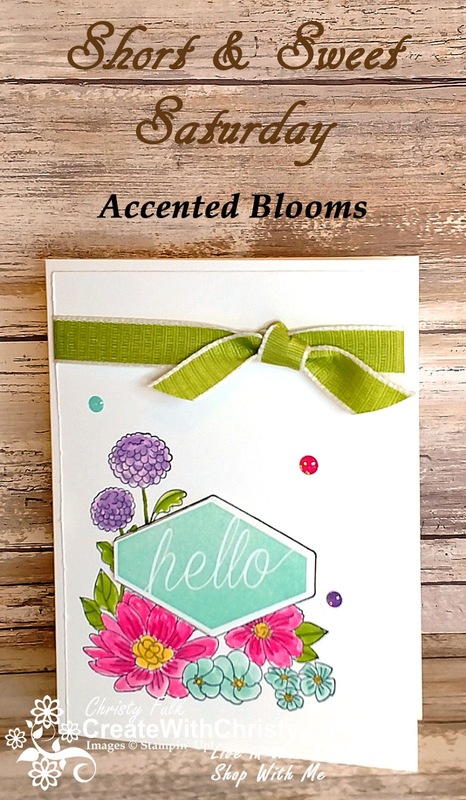 This is the first card I've made with this beautiful stamp set, Accented Blooms. I love how quick and easy it was to make this card, and I REALLY love how pretty it turned out. I got the color combo from the new Glitter Enamel Dots. These colors are so beautiful together! Don't forget...if you place at least a $65 order (before shipping & tax) from me, and use this month's Host Code QWUYDNMK, this month, you'll get these beautiful Glitter Enamel Dots FREE from me. I like this card so much that I've decided to make it my online order thank you card, too. CLICK HERE to find out all of the details. 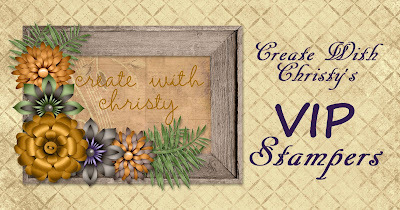 Not only will you get all of these things free, you'll also get added to my Create With Christy's VIP Stampers Facebook Group! Granny Apple Green 1/2" Textured Weave Ribbon: 6" & 5"
Stamp the large, floral stamp from the Accented Blooms Stamp Set onto the bottom, left corner of the Whisper White base layer using the Tuxedo Black Memento Pad. Using a Blender Pen, watercolor the flower in with the following ink pads (beginning from the top) Gorgeous Grape, Melon Mambo, & Coastal Cabana Classic Stampin' Pads. Watercolor the leaves in with the Granny Apple Green Classic Stampin' Pad. Add more of the ink to areas you want to be darker. 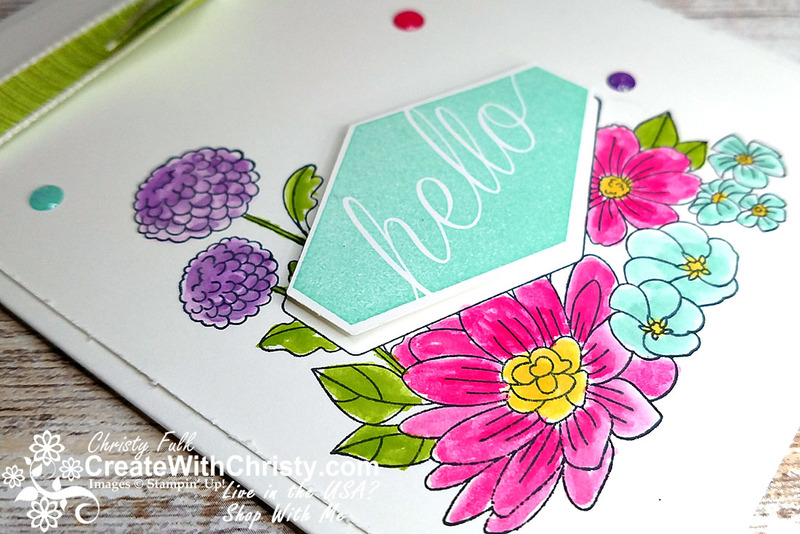 Stamp the "hello" stamp onto the smallest Whisper White piece using the Coastal Cabana ink pad. Punch the greeting out with the Tailored Tag Punch. 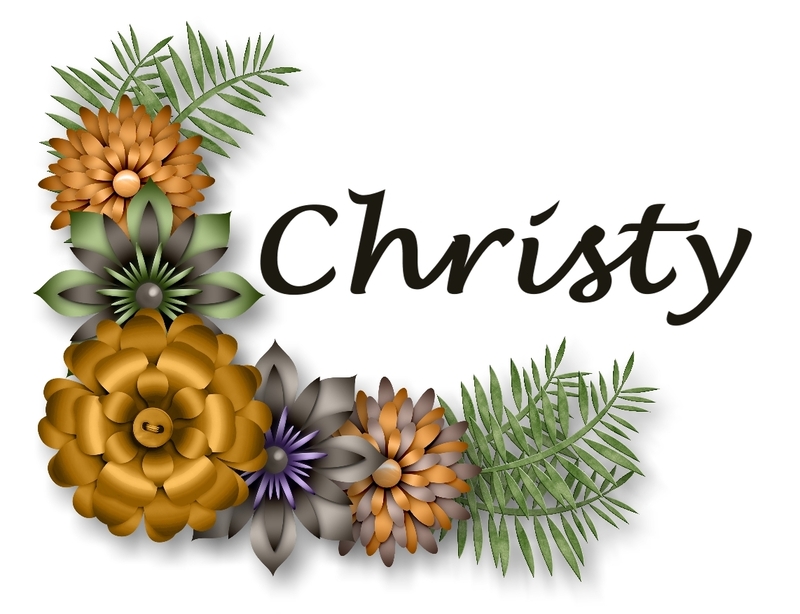 Attach it inside the framed section, using Stampin' Dimensionals. Wrap the 6" piece of ribbon around the top of the piece, and attach the ribbon ends to the back of it. Fold the Thick Whisper White piece in half (fold on the left) to form the card base. 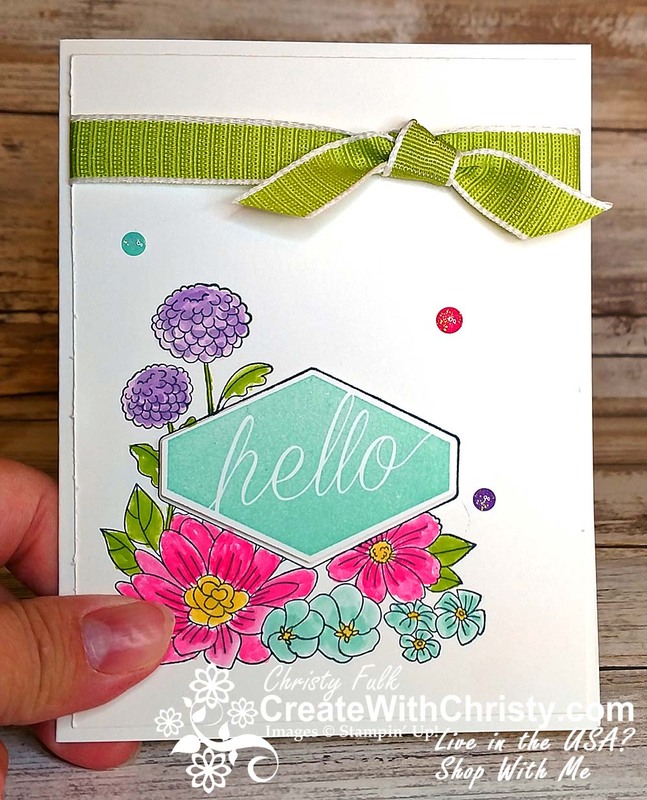 Attach the stamped layer to the center of the card front. 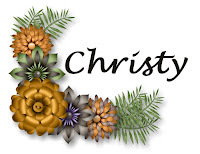 Tie the 5" piece of ribbon onto the right side of the attached ribbon using a single knot. Trim the ribbon ends at an angle. Attach three of the Glitter Enamel Dots to the card (see picture for placement).